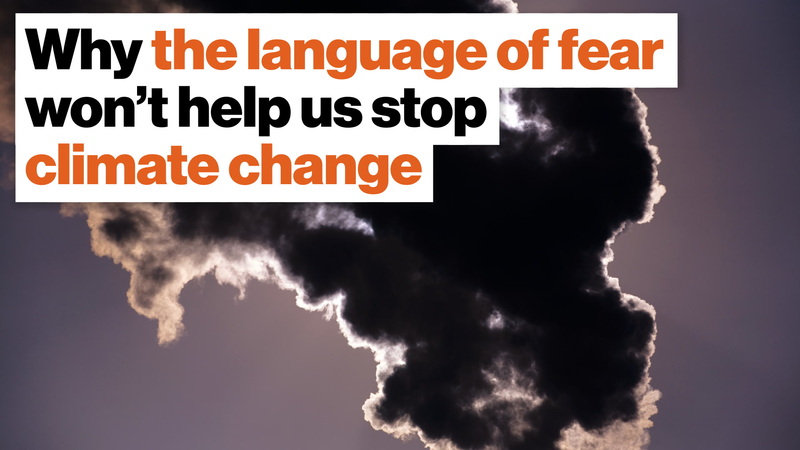 Using terrifying language when talking about climate change may be scaring people into inaction. Climate change is a linguistic challenge, as well as a technical one. Rather than fearmongering, talking about saving the environment like it is a series of achievable goals is something that people tend to respond to better. What's the biggest contributor to climate change? If you guess car exhaust, you're wrong. It's cooling chemicals, like the ones found in air conditioners and refrigerators. Cheryl Heller also supports the techniques outlined in the new book Drawdown, which bills itself as "the most comprehensive plan ever proposed to reverse global warming." Cheryl Heller is the Founding Chair of the first MFA program in Design for Social Innovation at SVA and President of the design lab CommonWise. She was recently awarded a Rockefeller Bellagio Fellowship, and is a recipient of the prestigious AIGA Medal for her contribution to the field of design. She is the author of The Intergalactic Design Guide: Harnessing the Creative Potential of Social Design (Island Press).